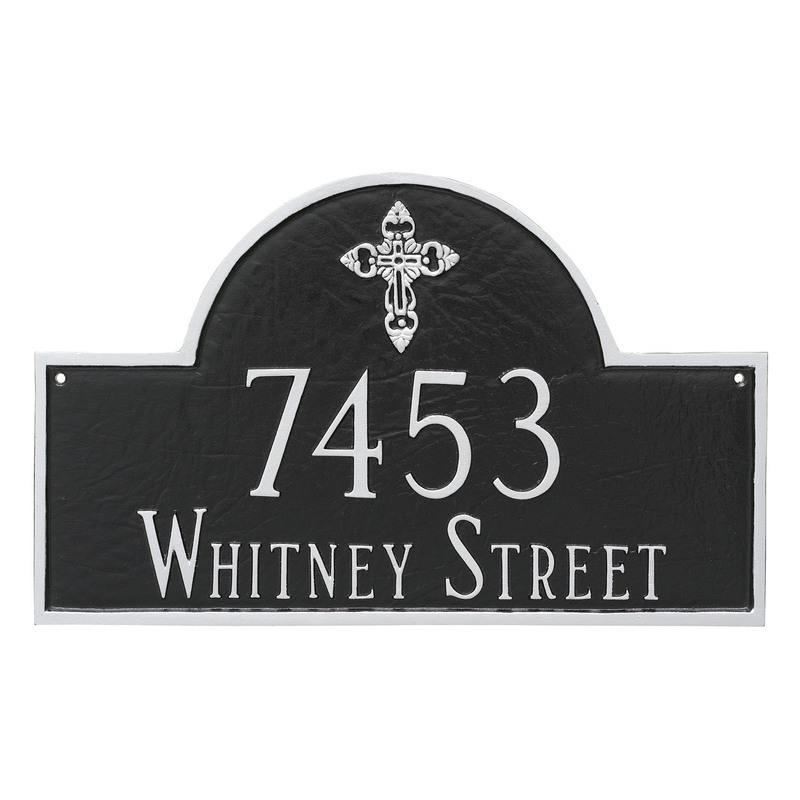 Montague Metals Ornate Cross Classic Arch Style Address Plaque is beautifully adorned with a Ornate Cross in a classic arch design. 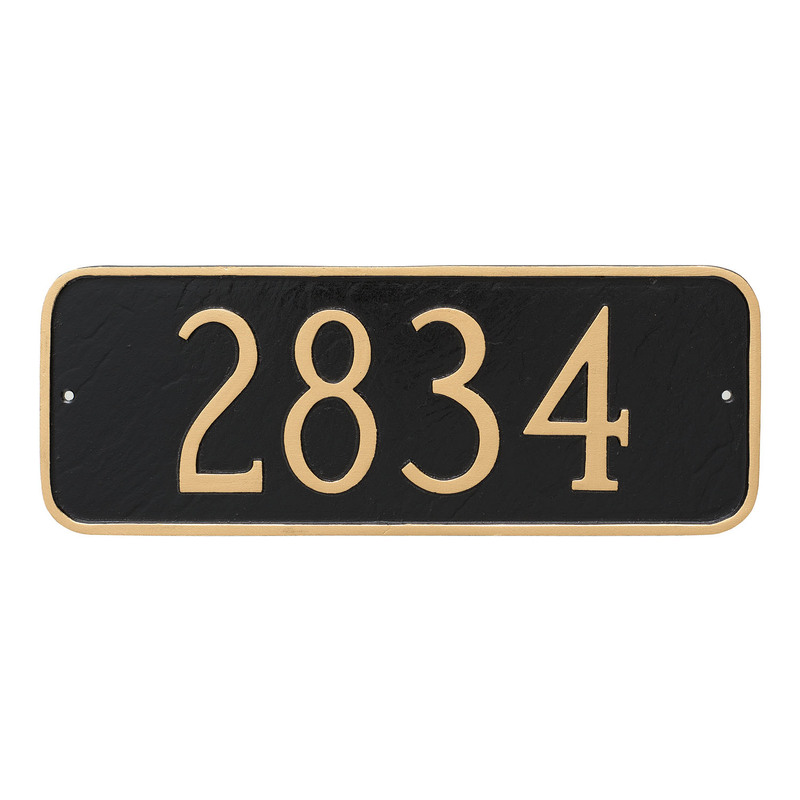 This is the type of religious Ornate Cross address plaque is a very distinguished look for your home or church building. 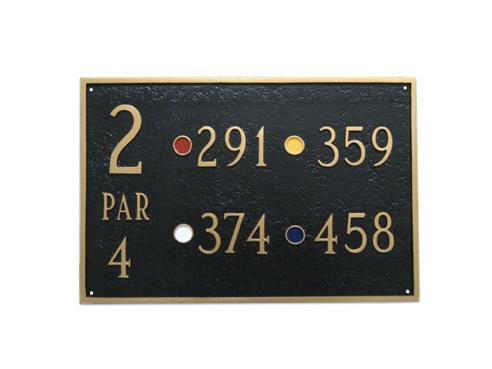 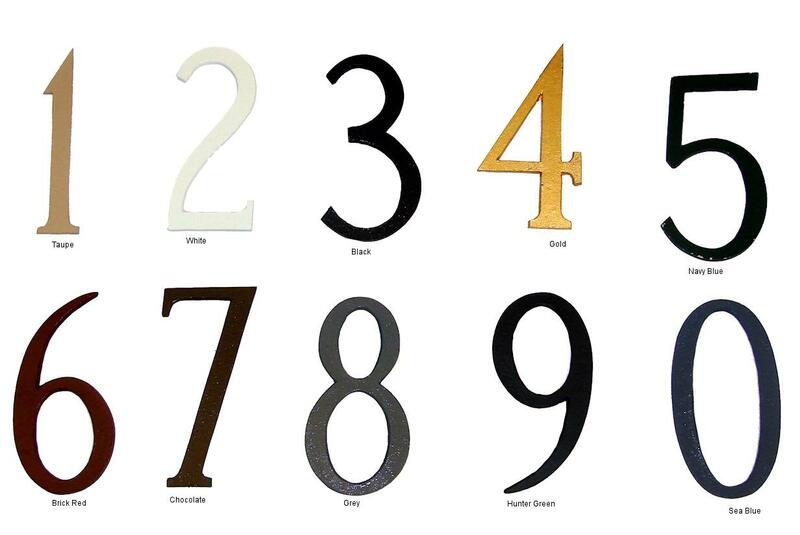 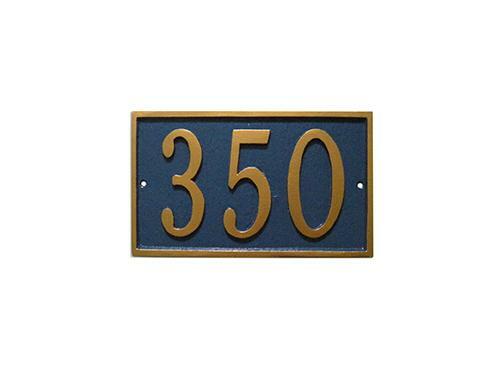 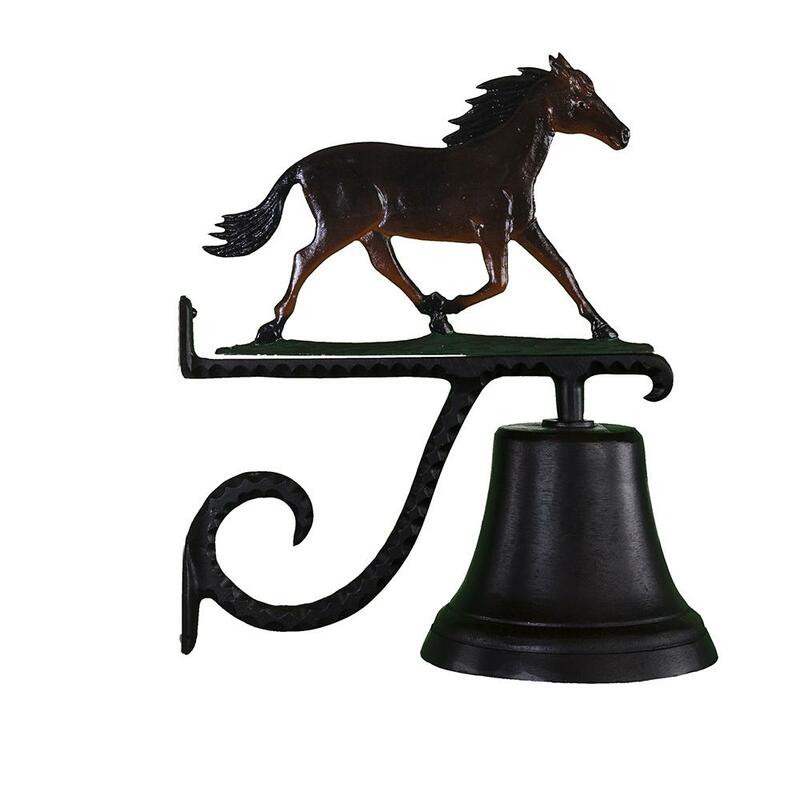 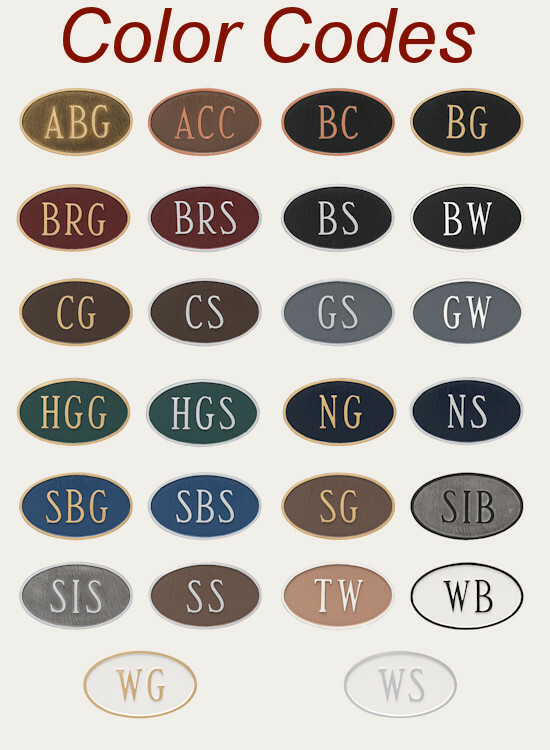 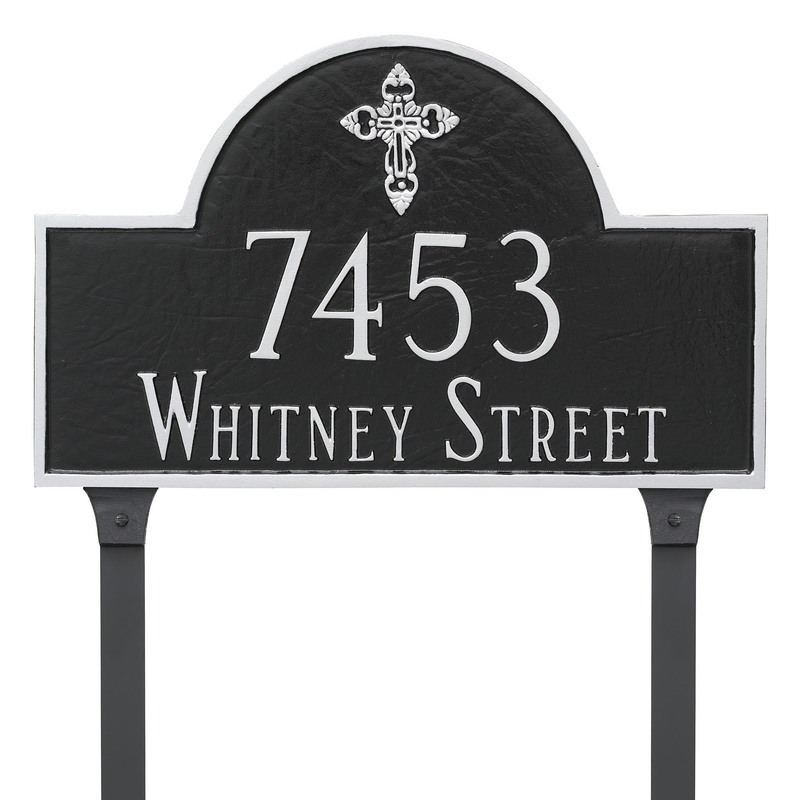 The Classic Arch Ornate Cross Address Sign is rust free, 100% cast Aluminum with included wall mounting holes for attaching the address sign to any flat surface as well as optional staking hardware for ground installation.